Shell the prawns, leaving the tails on. Boil for 3-4 minutes and leave aside to cool. Then marinate in olive oil, lemon juice, salt, pepper and parsley. Boil the beetroot al dente. Slice in any desired shape, marinate in olive oil, thinly chopped dill, garlic, salt, pepper and a little yogurt. 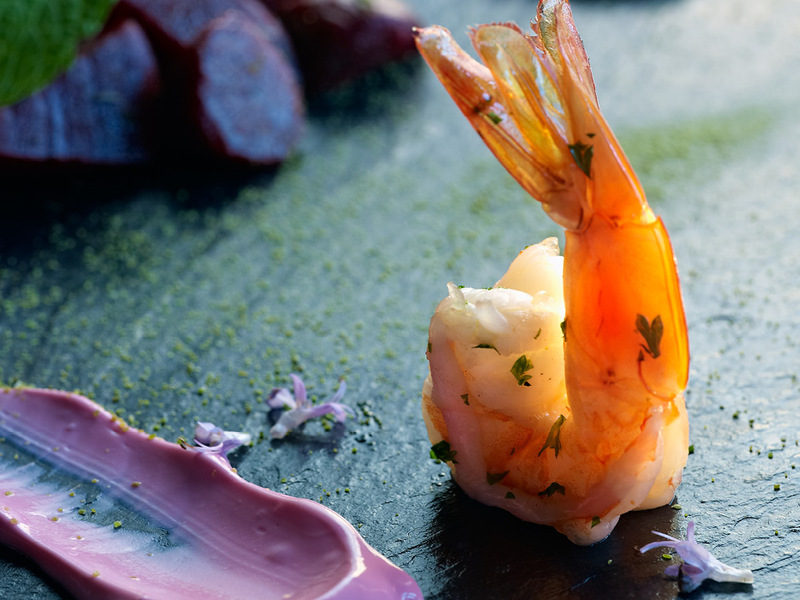 Serve the beetroot salad, with prawns at the side and decorate with the rest of the yogurt.